Margulis works predominantly in the mediums of geometric 3D sculpture and mixed media employing his knowledge of color and light to convert the painterly history of the Kinetic Art movement into dramatic three-dimensional, compositions made with acrylic sheets and aluminum composites. Margulis utmost concern is the creation of geometric shapes conceived mostly by changing the perspective of the viewer accompanied by the philosophical notion that everything in life has multiple levels of narrative, spatial perceptions, as well as varying degrees of empathy and diversity. Margulis sustains strong parallels between the human experience and the exposure to his works of art. Like life, his oeuvre entails a myriad of experiences that will move the viewer’s perception about reality. Another important element in Margulis´work is the use of light and the translucency of color. He recognizes that the strong and dramatic use of bright and contrasting colors in his body of work stems from his years spent in Mexico and, of course, from his exposure to the tropical landscapes of Venezuela. He works with curved shapes, volumetric geometries, transparencies, intense colors filtered through light and plays with endless combinations in a continuum of colored layers, coupling these with photographs of his own work to create a complete cycle of a highly nuanced practice. Through a complex process, Margulis posits that the open threshold of humankind and the variety of paths that coexist in human society interact with one another to continually challenge our perception of life itself. J.Margulis was born in Caracas, Venezuela in 1970, Margulis works predominantly in the medium of Geometric 3D Sculpture, Mixed media, and Photography. Margulis completed advanced courses in photography and master B&W lab work under Ricardo Ferreira at Instituto Neumann in Caracas, Venezuela from 1986 to 1990. Margulis also holds a BA in Management from Universidad Metropolitana in Caracas completed in1994. 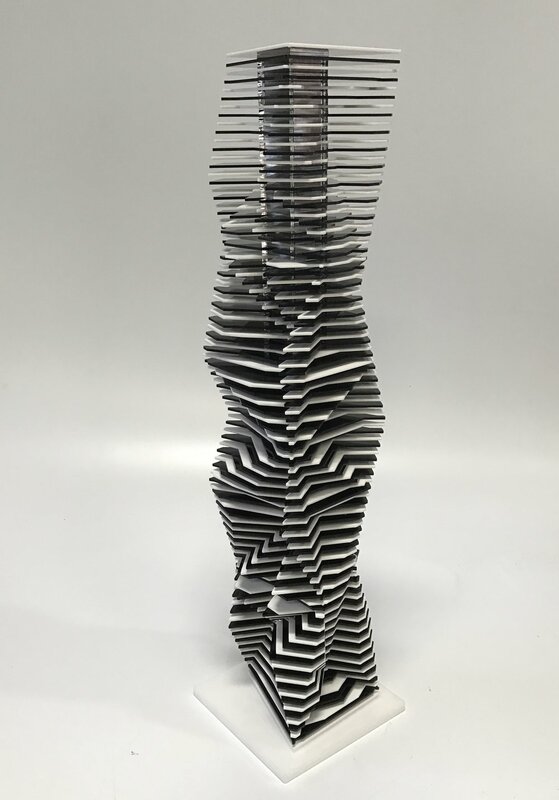 He runs a full time art fabrication shop that allows his prolific artistic nature to approach is work with a resolute determination to physically explore the field of geometric three dimensional art. He has participated in several exhibitions and relevant International Art fairs. His work belongs in private collections in Costa Rica, Mexico, Venezuela, Peru, Italy, Spain and the United States. J.Margulis resides and works in Miami, Florida.